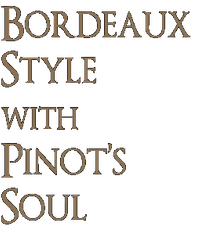 James Frey, winemaker & proprietor, brings his Pinot Noir experience to craft a unique and special Bordeaux-style wine. By hand crushing the fruit, fermenting in small, open-top vats, and aging in Burgundian casks; he, in essence, brings the soul of Pinot Noir to a Bordeaux-style blend. Due to the very small production levels of our 18401 Cellars wines, we are only offering 300 club memberships in either a 6-bottle or 12-bottle annual allocation, to be shipped once a year. Memberships will be filled on a first come-first served basis. Once full, we will begin a waiting list for future vintages.